Tuesday, June 13 – We are pleased to present the opening night film for SSFF 2017! 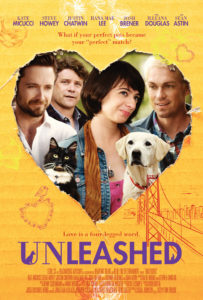 Unleashed – When a cosmic event turns Emma’s (Kate Micucci) dog and cat into two perfect guys (Justin Chatwin and Steve Howey), Emma reconsiders her outlook on dating, hilariously works out her trust issues, and ultimately learns to love herself. 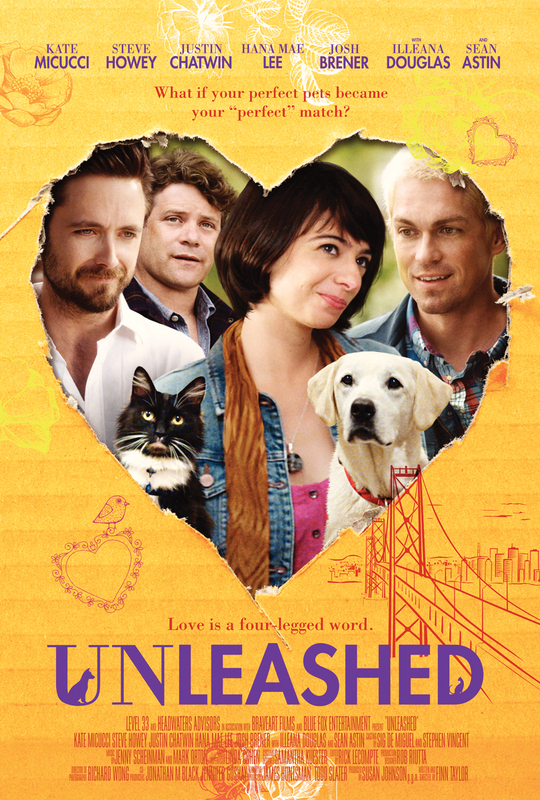 Directed By: Finn Taylor – Will be in attendance for a Q&A at the screening!!! 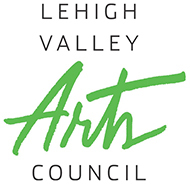 Gets you into the opening night party at Color Me Mine Lehigh Valley at 23 E 3rd St.
PROCESSION to Lehigh Valley Charter High School for the Arts at 321 E 3rd St. for the opening night film screening of Unleashed!